IS THERE A VAN GOGH IN YOU? 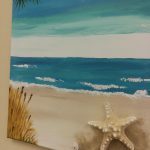 IS THE RE A VAN GOGH IN YOU?…..There’s more to the Gulf Coast Beach than the white sands! 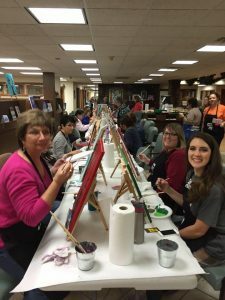 Every Friday is a painting class at the Hobby Lobby for those who want to see if they have that artistic gene. 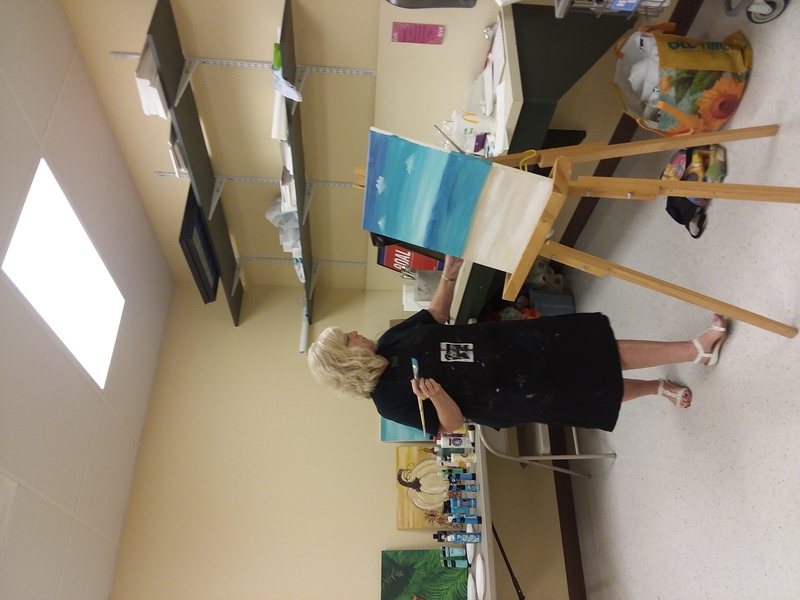 The class is taught by Ms Jane Ann Nichols, who has had the passion for painting since Jr High. 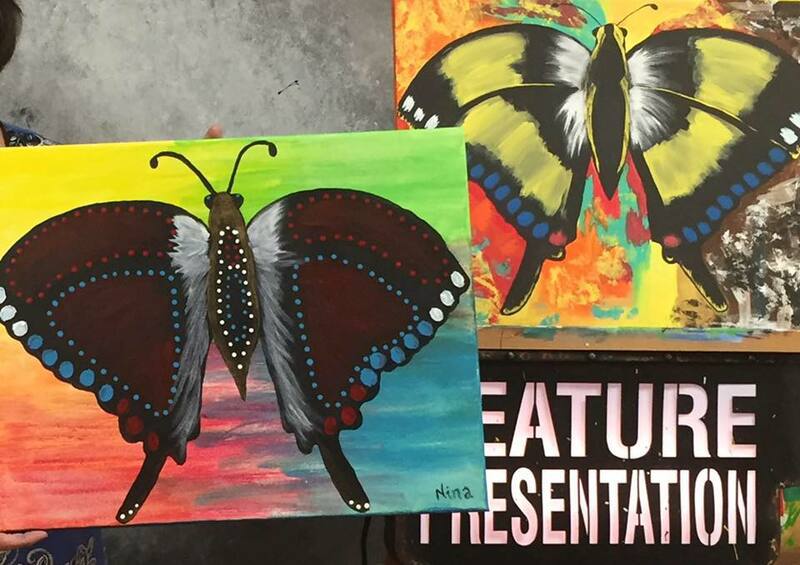 Her grandmother was an artist who started a brush and palette club and stimulated her interest. 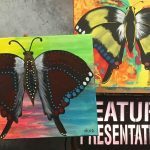 As her her life progressed she continued to paint but it was put to the side when she married and became an active mom. Ms Jane is an adventurer who believes you live life once. She has always wanted to live on the beach, so she put her home up for sale in Oklahoma and moved south, never having been here before. Her friends thought she had lost her mind but in reality she was doing what most had dreamed of doing. She’s been here since March of 2017 and loves it. 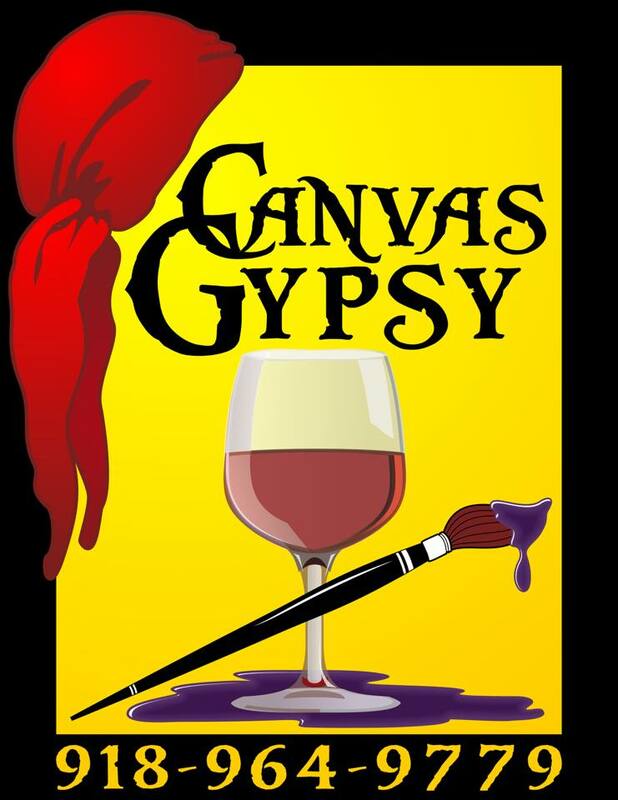 She is a brave soul with the heart of a gypsy , thus the name of her business “Canvas Gypsy” Once settled in, her passion for painting came alive again so she started her business hoping to share her gift with others. Classes are held every Friday and at various locations. 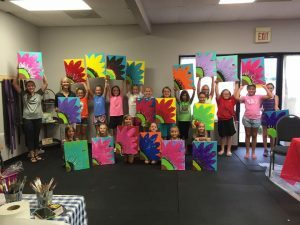 She also gives private lessons and does parties for children and adults alike. 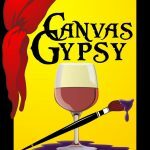 Give her a call, go to her facebook page” Canvas Gypsy” and book a party or you can visit her every Friday at the Foley Hobby Lobby. 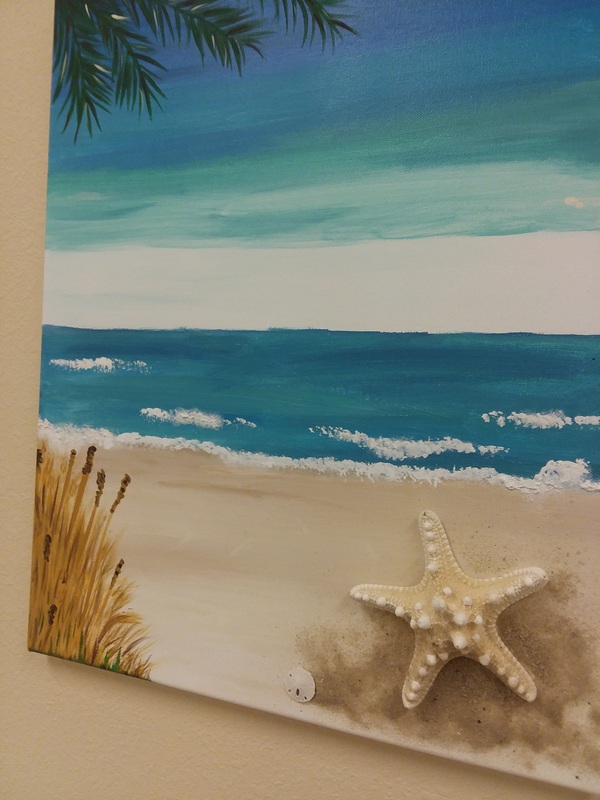 You can reach her at 918.964.9779.. Not only can you visit the beach, now you can paint it….